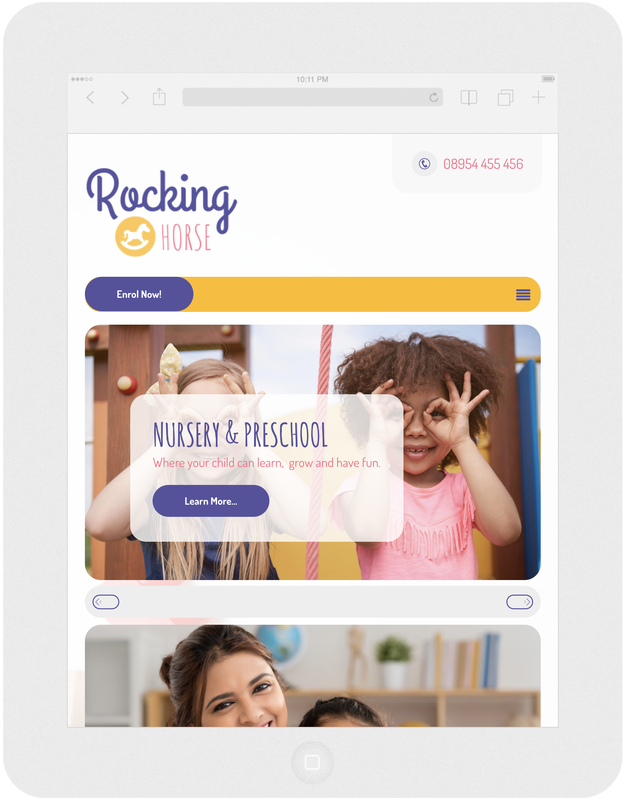 Rocking Horse is a Nursery and Pre School Weebly template. 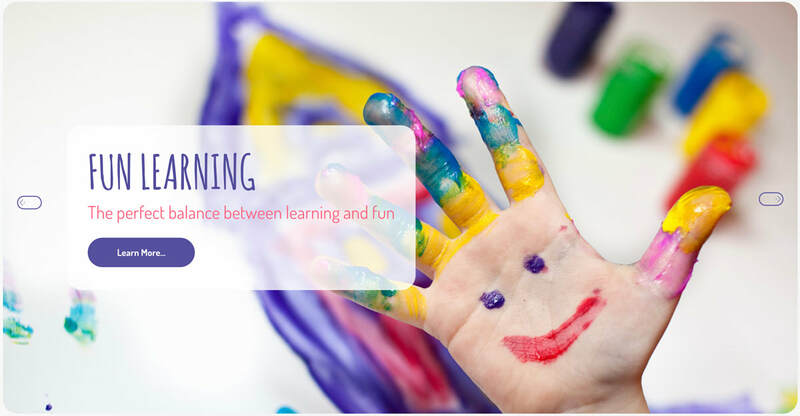 Deigned with fun learning and education in mind, Rocking Horse is perfect for any School or Nursery. Unlimited Usage on ALL Themes! 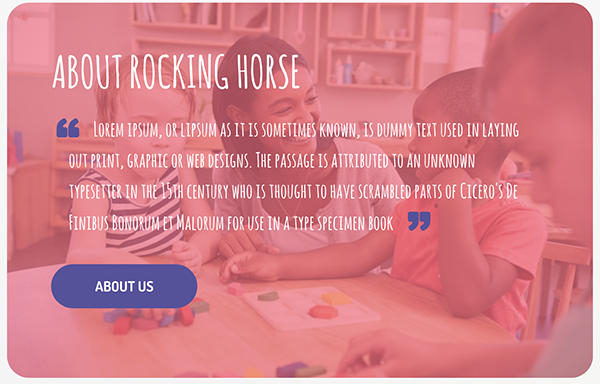 Rocking Horse looks faultless on all devices. From desktops to mobile phones. It is clever enough to switch the menu's around for different devices for maximum user experience. 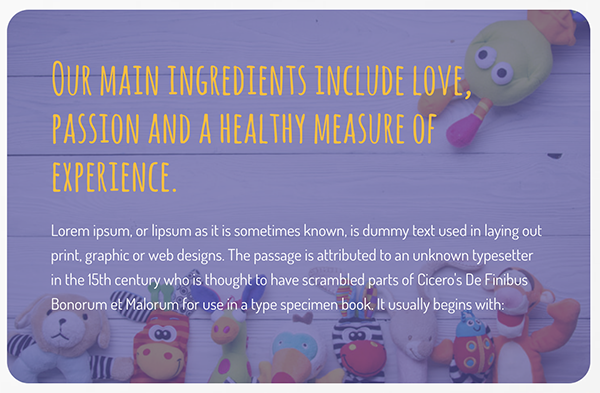 As all as all the radical and amazing features we've included in this theme. It's important to know you can still use the standard Weebly features too! they all work perfectly. Using the standard Weebly menu we have created unique menu styling with bold colours. The menu is also responsive, so will turn into a burger menu on tablet and mobile. 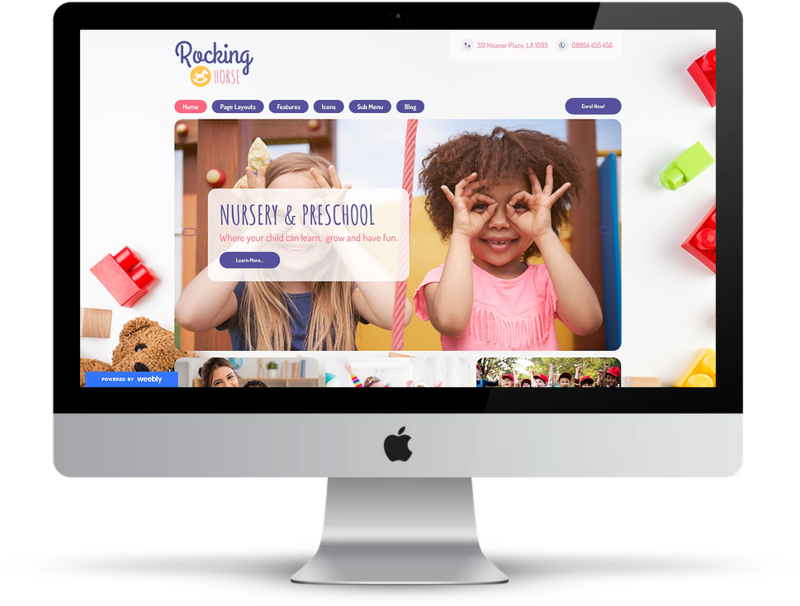 6 Page layouts to choose from, all you need to create the pages you will ever need in your website. Switch page layout/header type with ease keeping all content in tact. Change the colors of sections and features with the click of a button using color pickers. 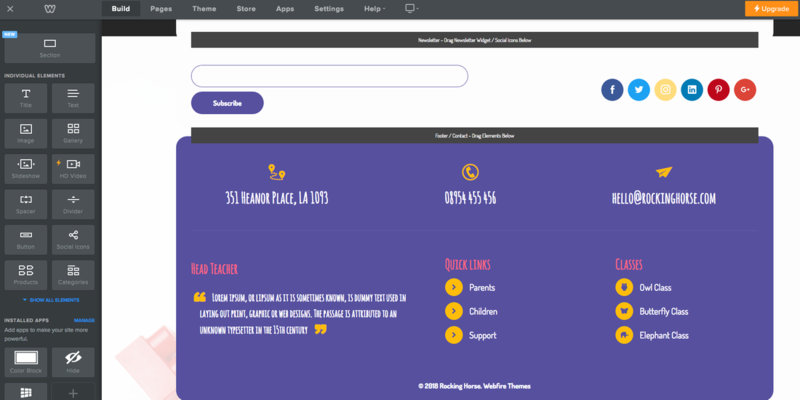 With the advanced theme options you have full flexibility to do whatever you want with this theme. As always we aim to give more with our themes. Burger Joint comes with some Custom header types specifically developed to work with Weebly and our custom features in harmony. Please note, the demo website shown using Velo is purely a demonstration of a website built using the Velo Theme.